Hold of ignition coil, for XU10J4 and XU10J4TE motors. 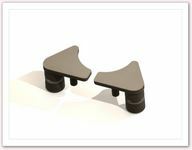 Hollow part, flexible plastic high temperature. 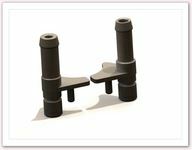 4-piece set of ignition coils, for XU10J4 and XU10J4TE motors. 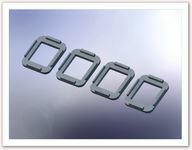 Parts hollow, flexible, plastic high temperature. 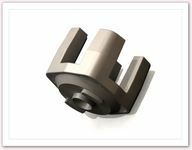 Stainless steel washer with thickness 0.5 mm. 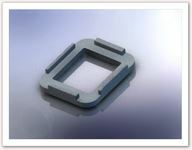 Stainless steel seal for sealing of the link collector exhaust - VAT 25. Gasket throttle body, carved on numerically controlled machine. 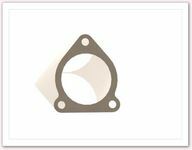 Material: sheet gasket resistant to oils; thickness calibrated; beige appearance. Shutter release turbo thermostat; replaces the original release pipe. For engine XU10J4TE with isolation of the exchanger.